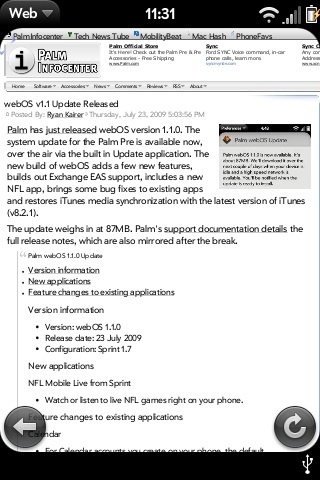 On top of Palm's official release notes, the new webOS 1.1 update for the Palm Pre also includes a number of undocumented new features and modifications. 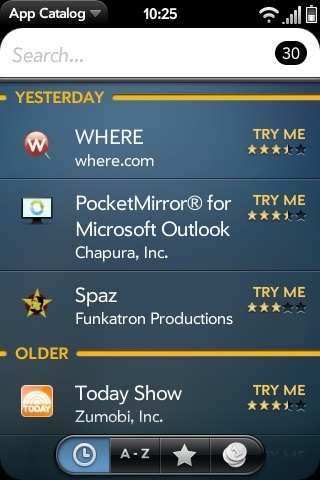 The changes range from extremely subtle UI tweaks to totally new options and behaviors. 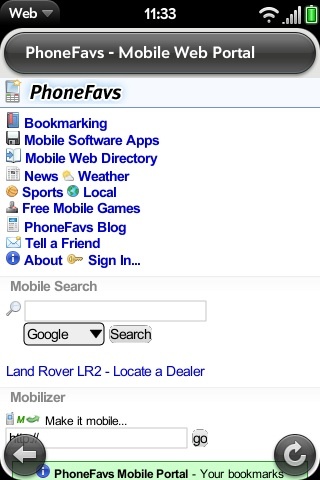 Some of the more noticeable points include: new animated drop down menu's, a new system font for the browser, improved scrolling and zooming behavior, modified notification sounds and overall performance enhancements. Read on as we point out and go over many of the additional functionality. 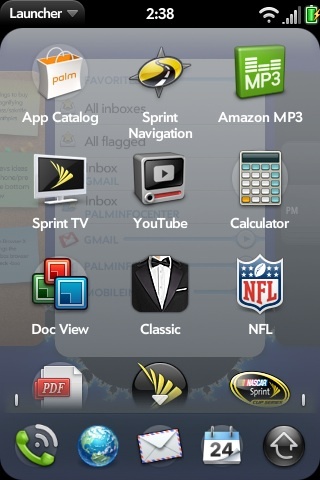 The update installs a new application from Sprint titled simply "NFL." 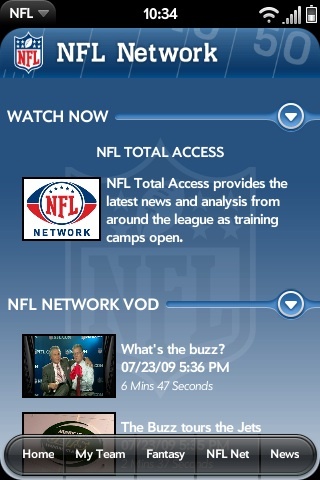 It provides game day stats, scores, standings and will offer live audio broadcasts of every regular season game, 8 live video NFL games and more once the season begins. The menu drop down system has been given a subtle spruce up. 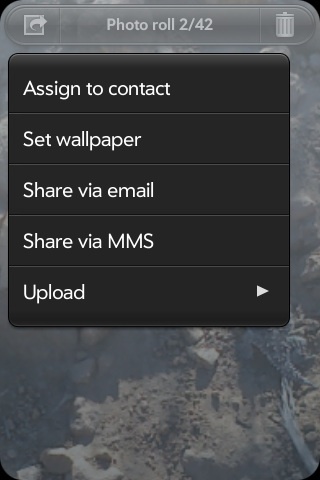 Menu's will now quickly slide down from the top, while the background is grayed out. It's a minor thing, but it feels a little more elegant modern. A new "forward" gesture (the opposite of back) will help you navigate through your history. Unfortunately, there is still no way to quickly jump back to the top of a page and the lack of a scroll bar indicator can leave you wondering actually how long the page is and where you are within it. 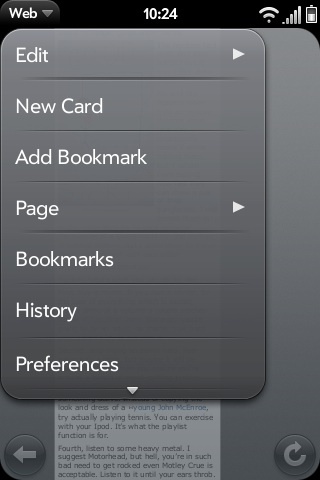 While I'm at it I'd also love to be able to bring up the bookmarks with a special gesture someday. 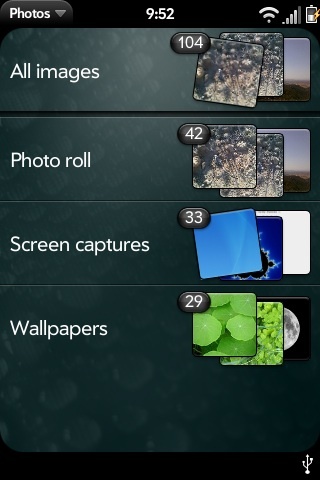 Palm has made some good improvements to the Photo application. It seems a tad feaster, but still takes a couple of seconds to fully decode photos (even ones snapped by the Pre.) The photos now slide in from the left as the app loads, and transitioning between pics feels a bit speedier. You can now email a memo easily from the drop down menu. 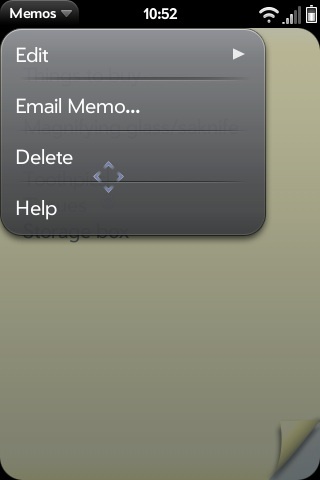 This will automatically load the text of your memo into a new email. Still no ability to sync. The number of system word auto complete/corrections has reportedly been expanded. In addition to the Microsoft Exchange updates, the email client has been given a few minor GUI touchups. It will now show flagged and reply icons next to emails that have been responded to/flagged. Not much new here as far as we can tell, but there may be a good amount of hidden developer features we don't know about yet. However, the App Catalog still reports itself as "BETA" and is still capped with the original 30 third party launch applications. 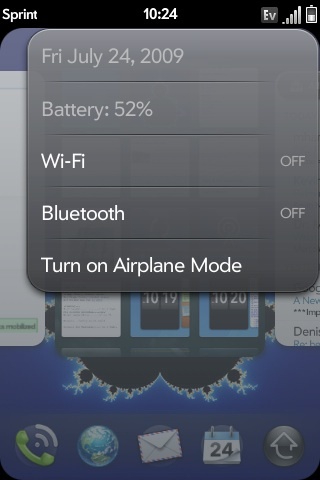 Palm has also changed a few of the notification sounds, however you still can not change the sound on your own. The new email sounds is a little more subdued while the Touchstone charging alert sound is a little less clanky. Another nice hidden feature Palm snuck in is the the ability to use the center button to turn the Pre on when the slider is open. I'm still hoping for an option for this to light up when you have new notifications, but this is a good start. 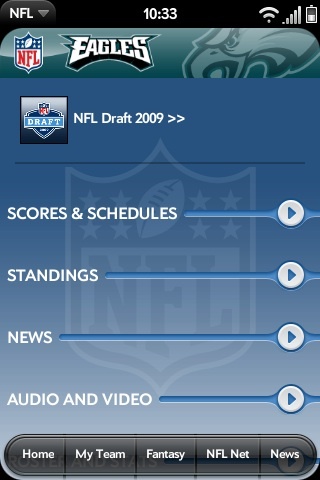 Overall, webOS v1.1 is a nice incremental update. The system as a whole seems a little more stable and snappier and many of the above mentioned changes are more than welcome. There is still a good deal of more improvements I'd like to see in the future, but it is encouraging to see Palm actually release significant updates so often and early into the Pre's lifetime. How about us Palm users who: a) live overseas, and b) don't want a WebOS device? The Centro is OK but the Pre form factor is much nicer! My answer. 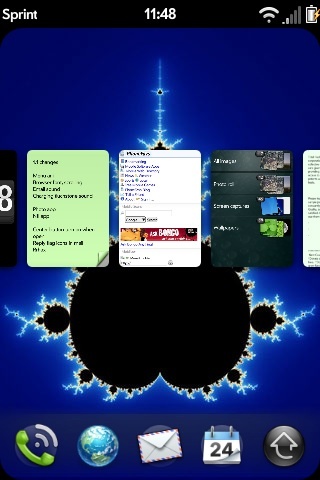 Start liking WebOS b/c the Garnet OS party is over with the Centro. Might as well make the change because with Classic on board it's probably the smoothest transition. Unless you wanna wait on that Russian Vaporphone with ALPOs. You could load Classic on the Pre when it finally comes to your country and run most Garnet apps. Thanks for the feedback. 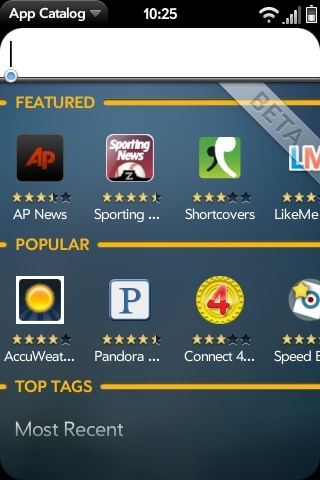 I am not keen on WebOS as I don't want roaming data charges that would kill me. 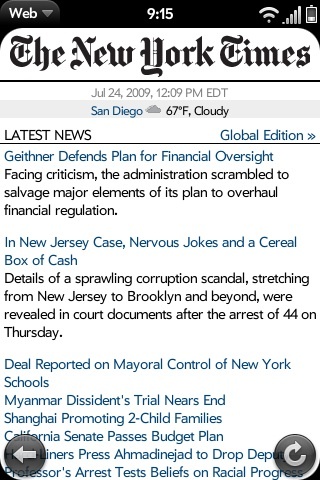 If you can run Garnet on a Pre or if WebOS can work w/o a data plan, a Pre would be great. All I need is a PDA that syncs with Outlook on my desktop and works as a phone/texting machine. You could also add your voice to the others that still looking for just a PDA. E-mail the guy from Access in the comments section of this article. Is it possible to set the Pre to only do data over WiFi? That would be an option, if there was a way to configure that. How long must we wait for the ability to be able to forward text messages? I called Palm about a month ago and was told soon. I called them last week and they didn't know. It's frustrating because as nice as the Pre is, it doesn't have the ability to so something as standard as forward text messaging that LOW END phones can do. Any idea from anyone when this feature will come out? They also need to fix the email program so it takes advantage of rotation. The Pre is a Linux-based phone, meaning that at its nuts-and-bolts level, there is a very geek-familiar operating shell. If you're feeling bold, as I was, feel free to root your phone and take advantage of the improvements that the open source community has shared with us all. It's not very difficult, and the advantages far outweigh the expense of your time. Landscape Email and message forwarding are both available as automated modifications for our Pre.